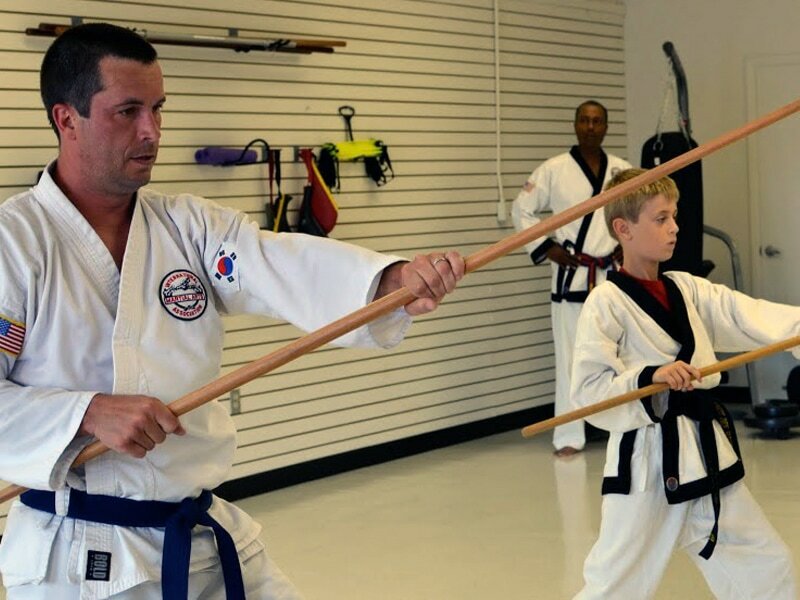 The Moo Duk Martial Arts Institute offers classes in the traditional martial arts of Tang Soo Do and Hapkido. Our approach to training places heavy emphasis on "forms." These are pre-arranged defensive and offensive maneuvers executed against multiple imaginary attackers. When performed properly, forms are visually quite beautiful, but they demand considerable stamina, flexibility, balance, breath control and power. The control of the mind, body and spirit thhat flows from proficiency at forms enhances the ability of students to perform well when they participate in sparring drills and competition; or if they find they need to engage in actual self-defense.